Crime prevention in Durban is the first step to making your home or office a safer place. For residential properties that are often vacant for long periods, you need to make sure your locks can withstand an attempted break in. 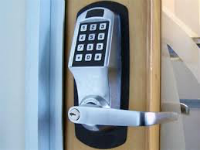 We will advise on the latest locking systems available to you whether manual or digital and only use the most trusted and well tested brands on the market. Security is certainly and area where you do not want to cut corners however our locksmiths will work accurately within your stated budget to provide the most cost effective solution. Offices and warehouses are quite regularly left unattended over weekends and throughout the holidays so security needs to be tight. We can offer expert advice not only on locks but also on digital security systems to best suit your needs and level of protection required. For more information on our security surveys or to book one of our experts, call us today on 031 100 1918 or use the contact for to your right. You may require your locks to be upgraded or replaced for many reasons. Perhaps you have been in the unfortunate situation where your property was broken into – our local locksmith is on hand 24 hours a day and will be able to secure your premises and change your locks where required. If you are moving to a new house, we would always advise that you get your external locks changed the day you move in. Not only for added peace of mind you are the only key holder but also to make sure the locks are up to standard and working properly – one less hassle for you to worry about during the stressful time of moving. Give our locksmith a call today and arrange to have your locks changed the day you move in. Call 031 100 1918 or use the contact form to your left.